Artificial Intelligence for music, revolutionizing creativity for everyone and transforming songwriting, music education, and copyright law. 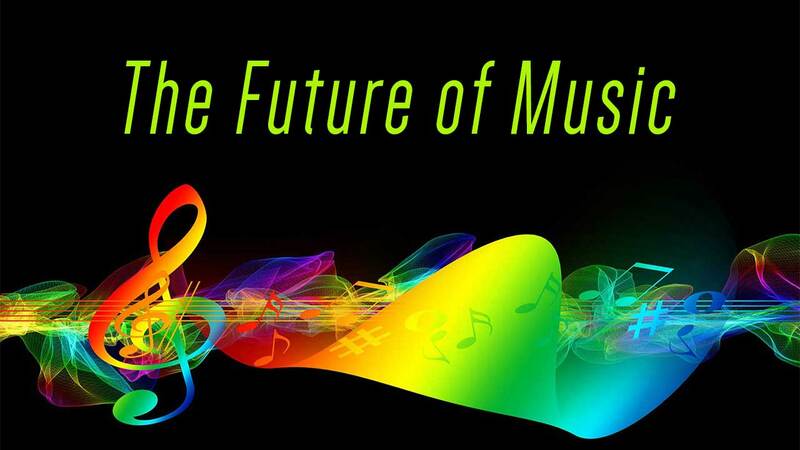 Artificial Intelligence for music, revolutionizing creativity for everyone and transforming songwriting, music education, and copyright law. What CGI did for movies, we’re doing for music. strategy to achieve market verticality. We built the smartest music brain ever. Based on Artificial Intelligence and machine learning, The Music Builder can write an infinite number of songs in any style. You can feed it any ideas, and it will create as many new songs based on those ideas as you want or need. It’s like having a world-class composer sitting right next to you, helping you create music, instantly, in real time. The Music Builder is such a powerful composing partner, the artist will save huge amounts of time during the writing process, and never run out of fresh ideas. Music Fact Reports is a comprehensive comparative copyright analysis tool for songwriters, composers, publishers and legal firms. We offer a bespoke service for determining the degree of similarity between any two songs using our unique, patented system which is based on artificial intelligence, machine learning, and the rules of music theory. Clearing music licenses is an expensive, time-consuming process that can literally take years, a time-frame wholly unsuitable for the quick-turnaround, flavor-of-the-month game and app markets. Licensing roadblocks also keep companies from utilizing user-generated content involving the use of music in their apps, games and software. DTE offers faster and better pathways to securing the rights to use the music you need, when you need it, and can even supply sound-alike tracks when the original sound recording is unavailable or too expensive to license. Located in the foothills of the Great Smoky Mountains, SoKnox Studios is where we record, produce, mix and master our catalog of 18,000+ note-perfect song reproductions and video animations. These state-of-the-art studios combine the top-notch technical skills of our personnel with the latest in music and animation software and hardware to produce and distribute recordings that rival the best audio and video in the music business. With an immense catalog of note-perfect song reproductions, Karaoke Cloud offers singers the chance at their turn in the spotlight. Singers use the consumer Karaoke Cloud app, built for web, iOS, Android and AppleTV to perform their favorite tunes at home or anywhere they take their mobile device. Professional karaoke show presenters use Karaoke Cloud Pro built right into their presentation software to provide their customers with fantastic nights of entertainment, on-demand and hassle-free. “Commissioner” Gordon Williams, 7 Time Grammy Winning Producer with numerous Gold and Platinum albums including Carlos Santana's multi-platinum “Supernatural”, Jimmy Jam and Terry Lewis, Lauryn Hill and 50 Cent. To be a worldwide leader in the streaming media industry in the next five years. To expand our music licensing division by disrupting the songwriting and publishing industries with our artificial intelligence program "The Music Builder." To be a publicly traded company. DTE Inc has focused its efforts on fully developing out the technical specifications and product roadmap for its artificial intelligence platform integrating the studio engineers and producers to establish tested use cases. The company additionally has prepared itself for the finance community in reference to due diligence and presentation of its offer. Driven by a love for music and innovating the way music is made, the company believes that with its management team in place, core AI technology operational and base revenue-generating business it has all the components necessary for a scalable business, ready to disrupt the $15 billion dollar music production industry. DTE’s goal is to be a publicly traded company. We are open to a variety of approaches, including RegA+, S-1, IPO or other options. We are seeking a long-term relationship with a synergistic financing group. With an experienced management team in place, a world-class music studio, a proprietary music and music-video catalog, an interactive social-media end-to-end music video streaming platform, Artificial Intelligence music creation software, and a suite of cutting-edge apps, DTE has the tools to become a worldwide leader in the streaming media industry over the next five years. Joe Vangieri is a serial entrepreneur who successfully raised capital and led the development, launch, and branding of "first of its kind" music performance products. He helmed the R&D, patenting, licensing, marketing and manufacture of the first digital DJ software package, and launched the karaoke industry's premier streaming platform. He is now pioneering an Artificial Intelligence technology set to disrupt the $15B music creation market. He is an expert in Lean Startup methodology. Mr. Matusiak is an expert in the fields of mathematics, programming, and music theory. As Co-founder and Lead Developer for Exomens, Ltd., he researched, designed, and implemented multiple large-scale artificial intelligence projects, including systems for music, audio, and natural language analysis. His groundbreaking application of advanced artificial intelligence and machine learning algorithms for the analysis, transformation and creation of music forms the basis of DigiTrax’s disruptive approach to music composition, and has generated seven granted patents. Mr. Arnone is the founder of two NASD Broker/Dealers (FINRA) and a private merchant bank, as well as working on the NYSE. Mr. Arnone has been involved in the music industry since 1996, operating a first-class entertainment distribution corporation that was voted Medium Wholesaler of the Year three times. He is currently the Chairman and co-founder of American CryoStem Corporation, and holds a degree in Business Administration and a B.A. in Economics. Mr. Jacobi has been a highly respected entertainment attorney for the last 35 years. He has represented electronics giant Brother International, handling copyright and licensing matters on their behalf, and mobile application developers from all over the world, including China, Israel, France, and the United States. His practice specializes in trademark, publishing, and licensing law, with an acute emphasis on contract negotiation, digital rights acquisition and artist, producer, and songwriter representation. Stan Marcom leads the DTE team in ensuring the smooth day-to-day financial health of the enterprise, overseeing the company’s medium- and long-term financial strategies, as well as tax and regulatory compliance. Mr. Marcom brings over 25 years of corporate financial responsibility experience to the enterprise, with 21 of them specific to the music industry. Mr. Marcom is an MBA graduate of the University of Tennessee. What CGI did for movies, we’re doing for music. Copyright 2014-2019 Digitax Entertainment, Inc.